XTB sulfur burner is used to produce sulfur vapour ro control pests inside greenhouses. XTB sulfur burner invlove a stainless steel tank and a automatic electrical heater inside it. In real applicaiton, a sulful burner heat with a power of 150w. While a specific temperature is achieved, it will decrease the heating power to 40w. 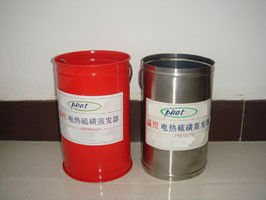 The sulfur burner is realible, and has long life time.